All our exotic straps carry CITES approvals and certification. 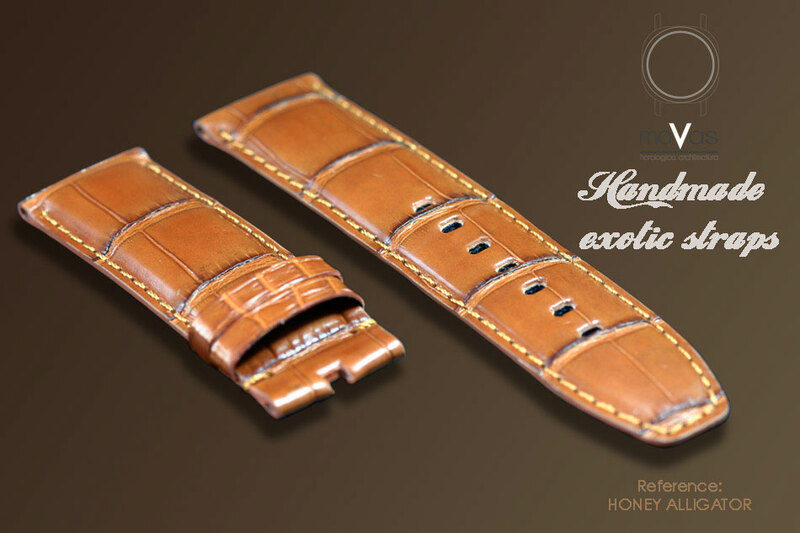 We do not actively pursue the use of exotic material for straps but understand the allure and the characteristics that add to the appeal on watches. All exotic straps are made with genuine 100% alligator/ chrocodile/ snake skins. We also have leather printed straps but those are listed under STRAPS. Each piece of the skin is carefully selected to fit the strap and is maniculously hand stitched with a soft leather backing and padded in the centre to give it a luxurious appearance and feel. Thickness: 2mm edge, with 5mm padded centre. Stitch: 0.7mm thickness, machine stitched, brown nylon thread to match top colour. Thickness: 3mm edge, 6mm Horn protrusions. Prices are listed on the corresponding tabs to the left. 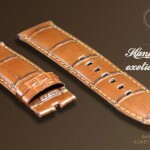 If straps are purchased with a watch as an additional item, you automatically receive a 20% discount on the strap price. We will check availability and advise earliest collection time. Payment is with cash or bank transfer. We will check availability and advise accordingly. If available immediately we will send a paypal invoice to the supplied e-mail.